There’s no denying there are some amazing indie games out there, and many of the most successful ones can be found on Steam for PC, or on home consoles. With the ever-growing technology of mobile devices, and the rising popularity of mobile gaming, more and more indie games are finding a home on this platform. Not all developers are taking advantage of this area of the market though, so we’re taking a look at some of the current best indie games we think would fare really well on mobile. 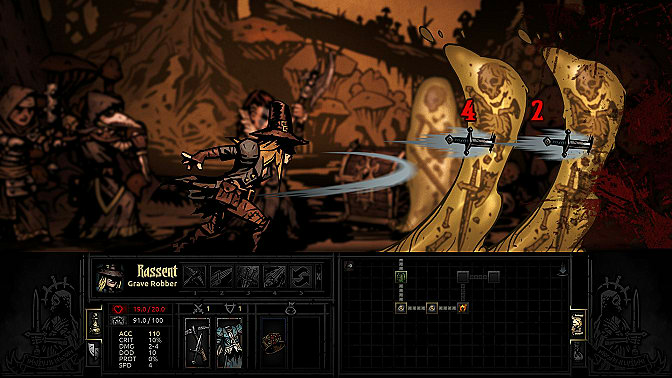 This side-scroller gothic RPG from Red Hook Studios is a turn-based battle game with a twist. Instead of purely focusing on the characters' physical strengths and abilities, Darkest Dungeon has the player facing the emotional and psychological stresses one might experience living a life of gruelling adventure and hardship. Tasked with leading your group through a dark and dangerous land 500 feet beneath the earth, you must battle not only the enemies you encounter, but also such atrocities as famine and disease, all while dealing with the mental stress of the darkness that is closing in. While puzzle games and basic platformers lend themselves well to mobile gaming, we've seen with recent mobile games like Mobius Final Fantasy that RPGs (and particularly turn-based RPGs) can work surprisingly well, too. Darkest Dungeon would be no exception. The game's hand-drawn graphics are really neat, and the almost comic-book-like art style would transfer really well to mobile devices, providing a game that not only plays well, but looks great too. 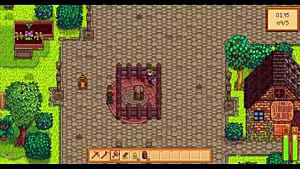 Described by developers Chucklefish Ltd. as an "open-ended country-life RPG," Stardew Valley allows you to build up your own farm and surrounding land from scratch, whilst learning valuable skills like farming, fishing, mining, foraging, and combat. Much like with Harvest Moon, your character is just one part of a larger community of people that you will get to know as you play, making friends and even starting a family of your own if you choose to. 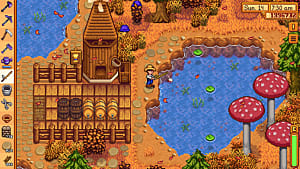 Like many games of this type, Stardew Valley can be quite addictive, with endless hours of open-ended fun to be had customising, building and maintaining your own little corner of the Valley. Basically, it's the kind of game perfect for dipping in and out of for short periods of time without having to commit to sitting and playing for long stretches in order to achieve anything. As anyone that's had to turn their game request notifications off will know, Farmville is the most popular game on Facebook. It's an addictive simulator always within arms reach wherever you may be, thanks to its ease of access on smartphones and other mobile devices. 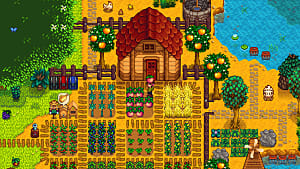 Why not take that one step further, by bringing a more in-depth farming simulation game to mobile -- one that doesn't require the use of social media to run/play it? 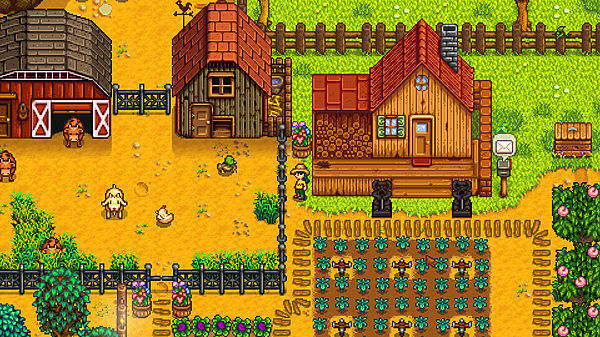 Stardew Valley would definitely be a good candidate for this, and has the potential for success in this area as it plays right into the hands of what mobile gamers already enjoy. The recently released co-op puzzle game Death Squared, from developer SMG Studio, has already seen a lot of success while being showcased at various PAX events around the world. 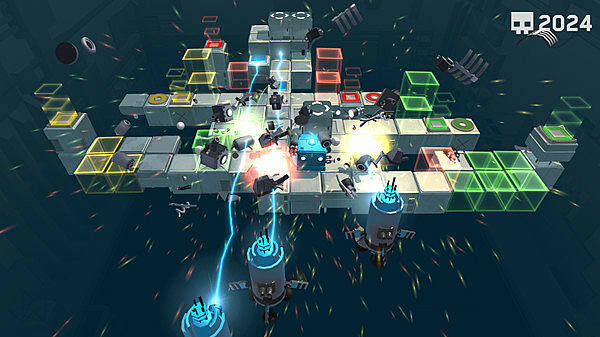 The game requires each player (1, 2, or 4 people) to guide their own individual robot to matching, colour-coded goals, all while maneuvering their way around deadly hazards, and each other. When playing in one of the co-op modes, players must work together to solve these puzzles, all while preferably keeping each other alive. Death Squared is the Monopoly of the indie gaming world. If you love arguing with your family and waiting to see who flips a table first, this is the game for you. It is frustrating and endearing in equal measures. 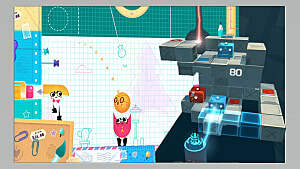 Death Squared's simple yet appealing premise, its co-op opportunities and the easy-to-grasp controls make it a great candidate for mobile gaming that can be enjoyed by casual gamers and even non-gamers. With the recent release of the complete Shovel Knight compilation, Shovel Knight: Treasure Trove, on April 5th, now seems like a better time than ever to port this popular adventure game to mobile devices. 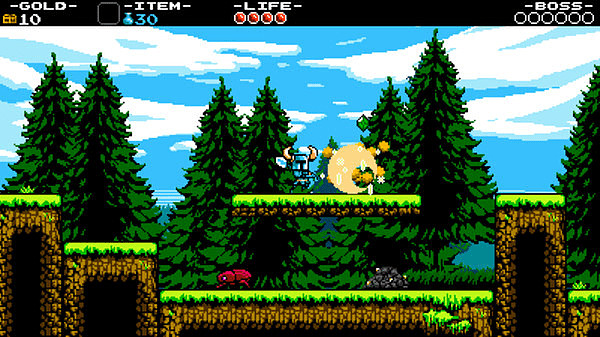 In this action-adventure platformer from Yacht Club Games, you play as Shovel Knight, a hero out to find his lost love. Using your trusty Shovel Blade, you must battle the knights of the Order of No Quarter and ultimately defeat their leader, The Enchantress. Treasure Trove also contains both the sequel and prequel to the original game, allowing you to play as Plague Knight and Specter Knight in their respective adventures, too. 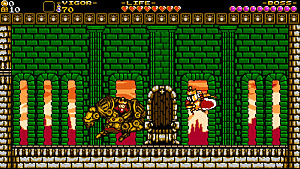 Shovel Knight's 8-bit style will transfer easily to mobile devices, and the bold colours would look great on current technology. 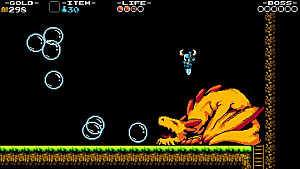 The basic side-scrolling method of play would work well with touch-screens, and the overall retro aesthetic would appeal to those that look back fondly on the 8-bit era of gaming. The whole thing has a very nostalgic feel to it, and with everything retro being so in right now, this endearing quality would appeal to gamers young and old. This unusual puzzle platformer from developer Playdead is one of the top-selling games on Steam currently. It is visually beautiful; dark, creepy, and atmospheric, and this somewhat grim aesthetic and the accompanying morbid soundtrack (recorded through a real human skull) all work together to keep the player on the edge of their seat. Inside's mysterious description reads simply, "Hunted and alone, a boy finds himself drawn into the center of a dark project." The game's rather disturbing concept of human experimentation, and playing as a lone boy trying to escape the setting, is an uncomfortable experience, particularly if it all goes wrong and you have to watch the young child die. This game won't be for everyone, but for those that enjoy the macabre, it's a must. This game is a sequel to its equally creepy predecessor, Limbo, which is already available on iOS and Android, but it also works as a standalone. It would be a great move to have Inside follow in Limbo's footsteps to mobile gaming. The game only take 2-3 hours to complete, but with its oppressive atmosphere any longer would probably be overkill. The resulting concise story, side-scrolling gameplay, and gorgeous graphics make this a great candidate for the mobile platform, and Limbo's success in that area would no doubt continue in this sequel. This brand new dystopian adventure game, released just last week, is bizarre and hilarious in equal measures. 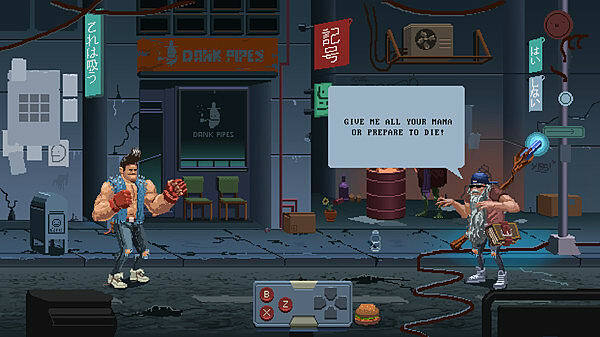 Developed by Jacob Janerka, Paradigm was a huge success on Kickstarter, more than tripling its initial goal of $14,000. Described by Janerka as "Pixar meets Fallout", the game's quirky 2D graphics and numerous 70s and 80s pop culture references make for a delightful, if strange, gaming experience. Paradigm is full of self-deprecating humor, as you play as the ugly-yet-confident protagonist of the title, a mutant who has to put aside his dreams of becoming a famous glam rock musician in order to go and save the world. Your nemesis? A tyrannical sloth named Olaf (yes, really). It's a tough gig, but someone's gotta do it. The point-and-click gameplay makes this a perfect candidate for mobile gaming, with this method having easy compatibility with touch screen technology. The dark humour and overall bizarre story makes for a fun game to dip in and out of whilst on the move (though it's definitely not one for the kiddies!). 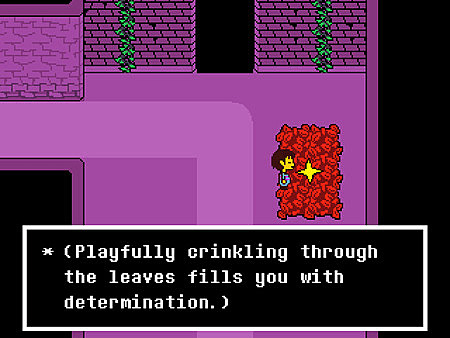 Described by developer Toby Fox as "the friendly RPG where nobody has to die", Undertale offers a rather unique way of defeating foes, by offering friendly means of negotiation, such as sharing a secret, or doing a dance. As the protagonist, you must find your way out of an underground world of monsters and mayhem, or risk staying trapped down there forever. Your choices in-game will determine your character's fate, so there is a lot of replay value simply by doing things differently each time you play the game through. 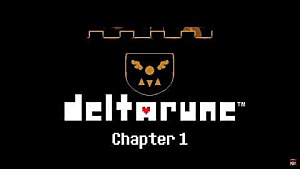 Undertale is one of the most most popular and successful games on Steam to date, becoming an instant classic. The story-driven RPG is very reminiscent of old-school NES games like The Legend of Zelda, and that nostalgia and simplicity, along with a fun sense of humor, is really endearing. 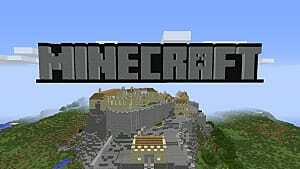 The game's existing popularity alone makes this a great choice of game to make more widely available, and with everyone and their dog seeming to have a smartphone or other mobile device on them these days, what better way to make something available to the masses than through a mobile port? There are tons of amazing indie games out there, with more and more being released every week. With such a huge selection to choose from, and so many of those not (yet) ported to mobile devices, let us know in the comments what you'd like to see in the world of mobile gaming in the near future!